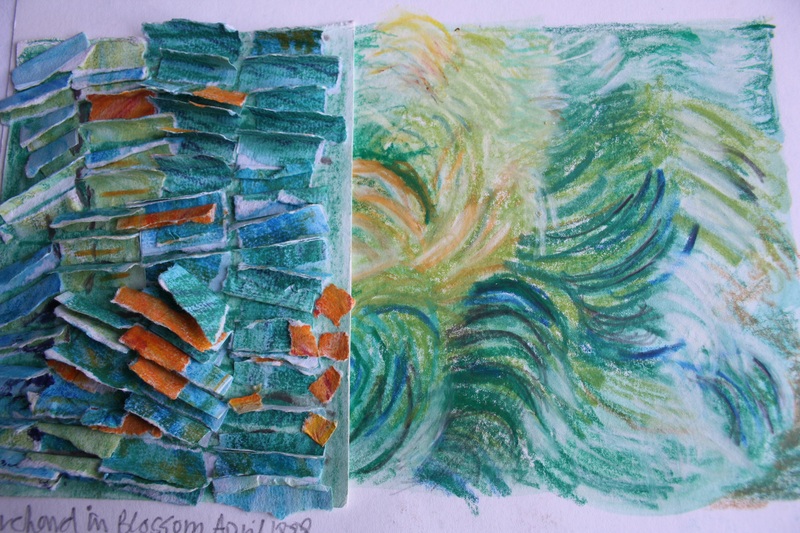 This year’s summer school was based on the work of the popular artist Van Gogh exploring colour and texture. Through close examination of his vibrant paintings and recording colour combinations and texture marks students made some exciting papers for design that inspired stitch samples. They made some texture blocks that were used for print and to make rubbings. The next step was to combine these to create more complex surfaces for interpretation into small panels. Categories: courses, Workshops | Tags: summer school | Permalink.